It’s a festival, it’s a festival! 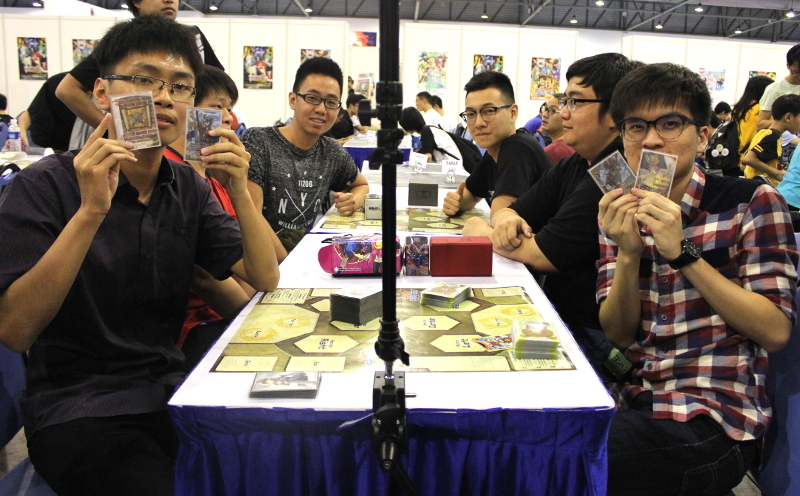 Over the weekend, we had a really big event taking place in Singapore. No prizes for those who’ve guessed it correctly, it’s C3 CharaExpo 2016! If you have been following our Twitter (@BushiroadGlobal) or Facebook, you may have seen the event photos we posted over the weekend. The Card Game Area had plenty of events for Future Card Buddyfight players. 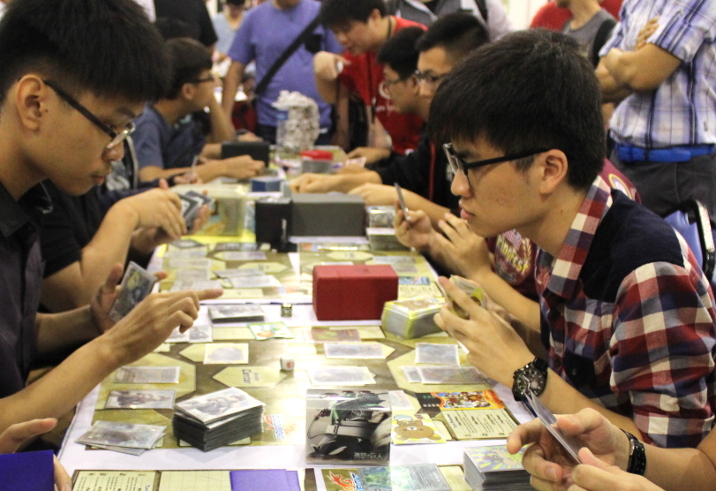 On Saturday the Bushiroad Spring Fest 2016 (BSF2016) Singapore Regional Qualifier was held and just the day after, the BSF2016 Asia-Oceania Continental Championship took place. 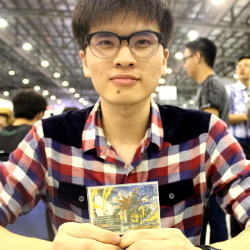 We had the honor of interviewing the BSF2016 Asia-Oceania Continental Champion, They Yuan Qi, just freshh of the final match! Let’s see what he had to share on his victory! A: I actually won a previous World Championship, so I’ve experienced a similar feeling before (laughs). But yes, I’m very happy. The cards are getting better and better and it’s getting more challenging to win. A: I think I was really lucky. I drew all the cards that I needed at the right time. Intense battle between Yuan Qi and Andrew Feng, another seasoned player hailing from Malaysia! Just before the final match begins! A: Normally I play a control deck with big finishes. I like attacking people with big finishes. A: Though I have only been playing Dragon World since the game started in 2014, my deck has changed a lot. I remember my first deck, using the first Drum, the original Drum. 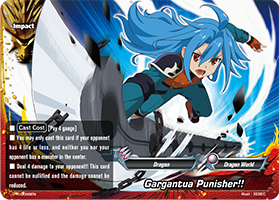 And the deck was built around this old Impact card, “Gargantua Punisher!!”. But actually for today I still use this “Gargantua Punisher! 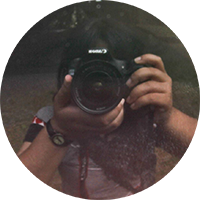 !“, although I’m using a different Drum. It’s an old card so it surprised a lot of my opponents. No one expected me to use such an old card. A: It will be Gao. Actually ‘Gao’ is my nickname, so I want to know which Gao is better. Q: Your nickname is Gao? A: (Laughs) Yes, my friends call me the Malaysian Gao. Q: Any developments you wish to happen in the game, or in the animation? A: As long as the game is balanced and smooth, I’m fine with it. In the animation, I just don’t want to see Gao lose too many times (laughs). A: If you plan to join a big event, just use the deck that you are most comfortable with. Don’t go for one that seems strong with a higher chance to win, if your playing style doesn’t suit the deck. You won’t be able to win that way. Dragon World is not really a meta but I still use it because it suits my style. 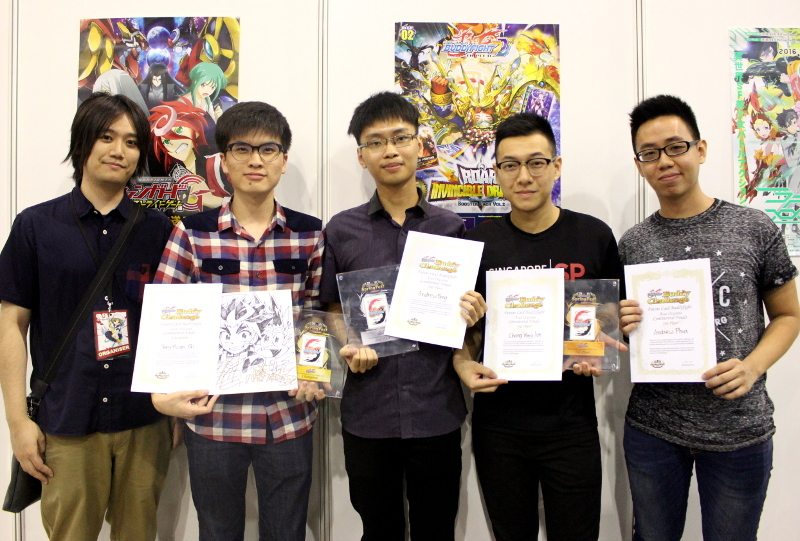 The Top 4 Winners with Mr. Yoshino, the game producer of Future Card Buddyfight! Thank you for your time, Yuan Qi, and congratulations again on your win! Hope to see you in our future events! With this, the Asia-Oceania circuit of the Bushiroad Spring Fest 2016 has officially ended! Thank you everyone for joining our events! That’s it for today’s article folks! The BSF2016 Continental Championships for Europe and North America circuits will be taking place in two weeks time, so all invitees do be prepared! Another major circuit, the Bushiroad World Championship 2016 will also commence very soon, with the first qualifier in New York on August 6-7. Everyone get your decks ready! Do check out the event page and our Facebook page for the latest updates, too!